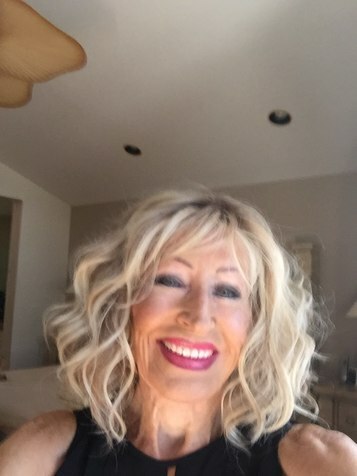 I am starting to like shaded bisquit by RW - color in HD wigs. Those of you familiar with the color - what are comparable colors in other brands? In particulat - JR.
JR doesn't have an equivalent to RW Shaded Biscuit, but I think their new Palm Springs blonde in the HD would be close. The new blondes are limited in styles though. I just received JR Spicy HD in Shaded Praline. I love this HD blonde! It is so much prettier than the synthetic version. It pulls more neutral than the synthetic version and it isn't as bright or fake looking. that is very interesting. I wear their hd colors in shaded mocha and that also is quite different from the synthetic color. I had tried shaded praline in s synthetic and did not like it. Will have to try the hd version and see if i like that better. I didn't like Shaded Praline in the regular synthetic either. It is beautiful in the HD! It still has an 8 root which for some is too dark. I will try to get a pic of it posted in a couple of days if I get time. i just posted a discussion/question about shine etc with non hd fiber. A lot of styles are not in hd. As a wig wearer - i see people wearing shiny synthetics and feel it is just a big tell. Especially in straight styles. In addition to dry shampoo - i have heard corn starch helps. But these do affect the color. i just bought heat by hr in shaded praline to test the color. Heat has been ny goto wig but i am tired of the shaded mocha - so i am hoping this works. I hated shaded praline in synthetic but this is hd - so fingers crossed i like it. I can always use a Heat anyway - and it is on sale so relatively cheap. I decided to stick with HD - unless i fall in love with the HM wig that is also coming my way. The only downside is the 8 root. JR does not have RW's beautiful, lighter hairline. The blonde is beautiful. i do love the rw hairline. Dont know why jr does not offer alternative to be similar - there are enough complaints. This is JR Spicy, a long style, in Shaded Praline HD in outdoor, shaded light. I love this blonde. I have never liked an 8 root, but I will wear this anyway. I was waiting for 14/26s10 to come back in stock for Spicy. 14/26s10 is my JR color in regular synthetic and I wanted to see it's HD version. I ordered HD Shaded Praline, 12fs8, instead because I was tired of waiting. The highlights are concentrated around the front. My picture may not have shown that as I didn't want to show my face. Love SHADED BISCUIT in RW. I have the "Editor's Pick". I was just going to come on and ask for some alternatives to Shaded Biscuit in other brands. I absolutely adore the color. My first wig (after trying and returning 3 other colors), in Upstage. I love the style also. What I don’t love is the matting so dang quickly and it seemed the Jon Renau HD detangler (whatever it is called) just made the whole wig feel weird and not style as well. I haven’t washed it yet. About to do that. So I thought I would see if I could find some similar color in another brand that is preferably not HD. I thought about 12fs12 Malibu blonde but I just can’t get past that ridiculously harsh hairline on the JR wigs. And 12fs8 is way too dark a root in my opinion. Hello and welcome to the forum! You really should take a look at the Belletress color Champagne with Apple Pie. Someone told me the rooting on the Malibu blonde was really bad. 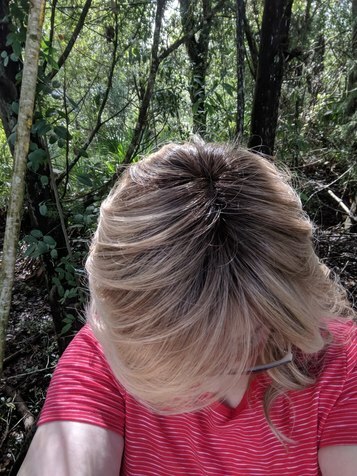 And you aren't the only woman who has complained about how quickly RW HD fibers mat and frizz or the awful hairline on Jon Renau rooted colors! Seems like these companies would get the message! Thank you so much Vee. I’ll have to look into that color. One of the three I went through before settling on Upstage in Shaded Biscuit was Belletress Columbia in Mocha with Cream. Loved the color but the hair fibers irritated my chest where they were landing. I have somewhat sensitive skin. Perhaps a shorter style will work. If I recall correctly, they were HD also. Do Belletress HD fibers not matte as much as? Btw, I used to live in Las Vegas. 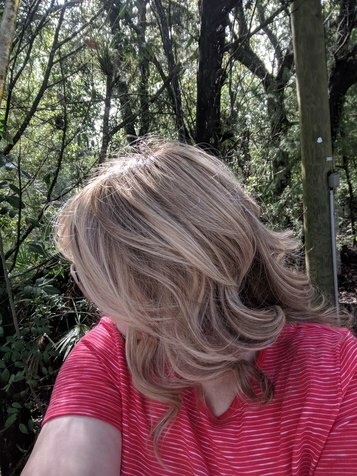 I never had a bad hair day there thanks to dry air and no thinning yet. lol...you gotta love what Vegas weather does for your hair! The wig I am wearing in my profile picture is Kona by Belletress in mocha with cream. I have not had any problems at all with the hair matting. This seems to be a problem mostly with RW HD fibers. I have seriously seen a women here say that her Raquel Welch Editor's Pick frizzed within 10 minutes of placing it on her head! well - just got Heat jon renau in 12fs8. I live the color. It is nothing like the synthetic version. Going to weat here for a few days but it really seems like a mild change from shaded mocha also in hd. Still has the dark lace front . I am sending back farrah by HM - the cap and mono part feel weird - but i do love the lace front. I am thinking now that a change to 12fs8 may be a nice subtle change. Thanks for pointing out the difference. I am glad you like it! 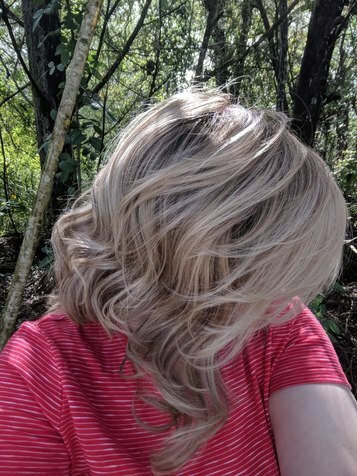 I tried Shaded Praline HD on a whim and it surprised me. I am on backorder for a Belletress style in the Champagne with Apple Pie color. It is supposed to be in next month. I am now interested in some HD colors. I am sorry the HM didn't work out. I haven't been able to nail down a Margu color after a couple of tries myself. Welcome to the Wigs.org forum! Strangers are just friends you haven't met yet! Join our community in one easy step and share your amazing and inspiring story with your wig family! All views, opinions and comments are those of the author and do not represent wigs.com or it's affiliates.